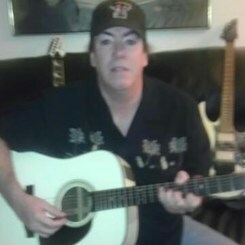 Hey my name is Steve Curtis and I teach guitar at the Frisco and Garland Music & Arts. Everything from "Rock to Bach" with over 30 years of teaching electric, classical, bass, and acoustic guitar! I have been teaching in Frisco since 2008, and I have over 40 students per week in the between both stores! To let you know a little bit about my performance histroy here is my bio. 1983-1987: Attended Richland and Eastfield community college. My studies included music theory, classical, jazz and advanced scales and modes. 1984-1995: I worked at Frets & Strings guitar sales, teaching vintage high end repair working with Gary McDaniel. 1995-1999: I worked at Brook Mays Music teaching bass guitar with vocal accompaniment. 1999-2005: I was the Owner, and lesson coordinator at High Level Music of University Park. I have many titles from teacher to recording engineer. 2005-2007: I Managed the vintage acoustic department at Guitar Center Platnium 440 and took the lead in regional sales! 2007-Present: I teach full time at Music & Arts in Frisco and Garland locations. I work with all ages, styles and needs! Guitar is my passion, and I love sharing that with my students. If you are interested in lessons with me please call the store and they can walk you through all of the scheduling! Looking forward to teaching you soon!